American interests in this century will slowly evolve from "Old Europe" and "Middle East " to China with its billion plus population and Africa with its abundant rich natural resources. One of my good friends, at my alma mater Southern Methodist University recently returned from Africa . Malcolm Farmer is the assistant basketball coach under Coach Matt Doherty . These coaches along with the entire coaching staff serve a more noble deed than coaching basketball . It is through them that they mold our leaders not for America but for the world.The leadership in Africa and America that will be provided by the SMU student athletes will carry on long after the basketball season . The SMU basketball team recently returned from a tour of Africa .Coach Farmer has given permission to have his blog on SMU and Africa be published on this site. reasons is irrelevant... the bottom line is that the chances of them seeing Europe at some point in their lives is very strong. In contrast, if we didn't take this trip to Africa I can honestly say that I don't think the bulk of our travel party would ever have the opportunity to see Africa during the course of their lives. Looking back on the trip, it ended up representing everything that I could have hoped. It encompassed all of what college basketball should be about... it was a great basketball experience, a fantastic academic experience, a tremendous relationship building trip, and finally a wonderful marketing opportunity for SMU as a whole. however after the trip it does not surprise me at all that basketball is growing in Africa at an extremely fast rate. Mactar, Assane, Brian, and Mame Laye. Their commitment to making this a memorable experience for all involved was truly admirable - and their ability to adapt on the go made the entirely trip remarkably smooth and easy-going from our perspective. Touring Dakar and seeing the evolving infrastructure brought the things we learned in class to life. Visiting Goree Island and contrasting the perspectives of the people there with the perspective of those in the States as well as with other individuals' personal perspectives brought not only the history of Goree Island to life, but history around the world as well. Driving to St. Louis , visiting Thies, and seeing the Senegalese countryside provided us with an understanding of not only the major cities in Senegal , but also of the economy and infrastructure of the country as a whole. Finally, visiting Pink Lake gave us a conclusion to our stay for which words cannot do justice. The experience in Johannesburg was also memorable, although for very different reasons than Senegal . Johannesburg is one of the most developed cities in the world and its thoroughly developed economy and infrastructure provided a stark contrast to Senegal . However, the relatively recent struggle against apartheid that South Africa endured, and the associated history, brought books and events to life for our students. Many thanks to Sophie, Joe, Mike, and Myke for their assistance in putting together a first-class experience. The homes of Desmond Tutu, Nelson Mandela, the Freedom Charter, and the Pieterson memorial and museum are experiences that one does not easily forget. Lesedi Village and Pilanesburg National Park provided cultural experiences that further brought Africa out of the textbooks and into real life. basketball. The first? When I was at Western Illinois University we had a player from the Dominican Republic who earned his business degree after many long hours of studying... and let it be known that by this time next year I fully expect Bamba to have joined Eulis Baez at the top of that list. Finally, from a marketing perspective, I believe that the Tour d'Africa was very beneficial from a University-wide standpoint. Both in Dakar and in Johannesburg I received countless inquiries from parents and kids as to how they can come to SMU. After providing them the website address and a business card I am confident that many of them will at the very least check out SMU. From a University standpoint, athletics should serve as a marketing arm - broadening the reach and appeal of the University beyond the normal clientele. Without a doubt, the Senegalese and South African communities recognize and know about SMU following the trip. However, our reach was far broader as the entire continent of Africa will be receiving our game against South Africa on tape delay via satellite. College basketball is about a lot of things - good, bad, and indifferent. However, this tour represented everything that college basketball should be about: basketball, education, bridging the cultural gap, and marketing for the University as a whole. I am not sure that it is possible for a foreign tour to accomplish more. Note: If anyone wishes to ever take a group to either Senegal or South Africa and would like the contact information for our tour organizers, or would simply like to discuss the logistics of such a trip with me, please contact me at mfarmer@smu.edu. I sincerely hope that more groups will take the time to visit these places - it truly will benefit everyone. I know that I plan to go back in the near future. Sign up for the SMU Basketball Summer Camps at http://smumustangs.cstv.com/camps/m-baskbl-camp.html. Sign up for the SMU Basketball Email at http://smumustangs.cstv.com/sports/m-baskbl/spec-rel/smu-mbb-email-list.html. The Supreme Court recently ruled in a 5-4 decision to protect child molesters and predators. The court struck down the 1995 Louisiana law that allowed the death penalty to be used against anyone who rapes a child under the age of twelve . That sounds pretty reasonable to me ,as a father of four daughters that does not seem to be far out of the mainstream thinking of any parent . The dissenting justices in this case got it right , and even those jail house convict judges have it right , child predators are the worst of the criminals . The Supreme Court liberal bias in this case is out of touch with the reality good old fashion common sense .In one hand we allow the death penalty but in the other hand we indicate that children can not be protected .In these days when we place signs on elementary schools that say the school is gun free ,we also say that we can not administer the ultimate penalty to those who harm our children outside the school playground. This law should have been upheld by the Supreme Court , with this ruling it effectively removes from the books a law that goes to the core in punishing child predators . The Supreme Court made a bad decision in this case to render justice . I pray that my child or anyone else will not have to suffer from this supremely bad decision . 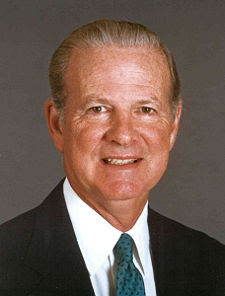 When I was a young man studying Texas politics @ Dallas Law Magnet High School, I was introduced to Texas politics .One of the stars in Texas politics at that time was the patrician Houston lawyer James A.Baker.My teacher was fascinated by Mr.Baker and I was chosen to monitor his unsuccessful campaign for Attorney General.James Baker subsequently ran five successful presidential campaigns.Years have passed and Mr. Baker’s resume has included more prestigious offices,such as White House Chief of Staff,Secretary of Commerce,and Secretary of State . Pop culture recently gave Mr. Baker a taste of pop fame by portraying him as the hard charging but smooth political operator in the recent HBO movie “Recount”. The "Recount" movie is one of the best political movies this season, its well worth the time to watch . Secretary Baker's achievements include winning the non partisan Woodrow Wilson Award.This award has been given out to prestigious Americans,regardless of party affiliation Democrat or Republican in recognition of advancing peace. While many see him as a devoted Republican operative,his talents as a internationalist are far more reaching.In one of his latest public forums in his beloved Texas ,Secretary Baker spoke at the Gulen Institute to promote peace ,cross cultural tolerance ,and human dignity.Regardless of political opinion when America negotiates with the world,we need and the best.James Baker is one of the best statesman America has produced,listen to what Baker says about talking to your enemies. Tiger Woods continued to add to his legend by winning the US Open last week . He proved to even the most jaded fan that he is a true sportsman.Tiger's toughness on the links will never be questioned. The pain and the sudden death classic shoot out will always be an ESPN Classic. We will have to wait at least a year for Tiger to grace the links again. I guess I will have to be content with watching Tiger chasing gophers on the golf course. Tiger come back, we miss ya already ! In a recent news article from The Dallas Morning News on June 20 ,2008 . Luminant Energy reported that they wanted to build two nuclear reactors either at its Comanche Peak Glen Rose facility . We will soon exceed $ 4.00 a gallon gas maybe we will get serious about obtaining and exploring alternative forms of energy . Lets finally get serious about our national security and our economic security and become energy independent .The following is the link to the Luminat Energy website and the Dalas News article regarding the Luminant petition to the Nuclear Regulatory Commission .If we want to do something about energy independence , we need to lower the cost of energy by forcing our public officials to create and develop a real energy policy. Energy Future Holdings generation business, called Luminant, informed the Nuclear Regulatory Commission on Friday it plans to file an application on September 19 for a license to build and operate two new reactors. Luminant is considering building the reactors at its Comanche Peak nuclear plant in Glen Rose. The NRC expects 90 days notice for a filing. Luminant sent the commission a letter dated Friday setting the filing date. Company officials have said they don't yet know if they will actually build new, multi-billion-dollar reactors. Luminant would use Mitsubishi technology for the plants, but hasn't yet placed equipment orders. Luminant has time to decide -- the NRC has said the process to grant new licenses can take several years. Still, filing a license application itself is a financial committment for Luminant. The process can cost between $50 million and $150 million. 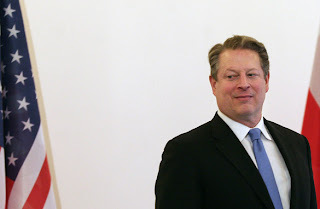 Al Gore finally decided to get off the fence and support a presidential candidate . Who did he pick ? Barack Obama of course . The collective yawn of the masses aside , this bit of courage showed more profile than anything else . The former Vice President could have proven himself more of a kingmaker or queenmaker if he would have come off that mountain and gave his endorsement in the heat of battle .I kept asking where was Al ? Perhaps he didn't want to endorse to early like he did in 2004 ,when he picked Governor Howard Dean . The power of his endorsement would have had more impact if it would have occurred during or immediately after the primary season. His standing as the past Democratic nominee and a Nobel Peace Prize winner would have been put to good use as mediator in the contentious primary battle between Senator Clinton and Senator Obama.If there was anybody who could have claimed the high political moral ground it was Mr. Albert Arnold Gore Jr.
Al Gore is a decent and honorable man but sometimes decency means that you have to take a stand even in the moments that make you most uncomfortable , not in the moments of political expediency. Senator John McCain should avoid speeches like the ones that he gave earlier this month when he congratulated the Democratic candidates . 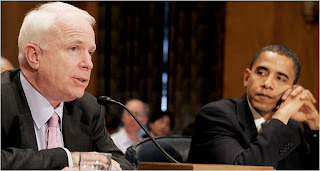 McCain's delivery was stilted , and scary.The smile came at the wrong time , talk about bad timing . Additional bad timing was that Mac had a speech after the Dems concluded their primary season thus walking on their night .Mac should stick to the town hall format that he clearly enjoys. Mac should avoid direct visual comparisions with the younger Barack . Even in a tie he loses . What will be interesting is the debate format that McCain proposed if it is agreed by both camps. The campaign between these two nominees will no doubt be very different and very interesting. (CNN) – Following a harsh press assessment of John McCain's recent formal speeches delivered before a teleprompter, the Arizona senator is returning to a format in which he is decidedly more comfortable. McCain is slated to hold a town-hall with voters in Philadelphia Wednesday and hold town halls with voters for the rest of the week. McCain’s event in Philadelphia was originally planned to be a scripted speech, but the campaign scrapped those plans after a wave of harsh critiques over a bright green screen that backed him last Tuesday, and the stiffness of his delivery when using a teleprompter. I have talked to quite a few black conservatives lately . The irony is that as most black people are more conservative as the Democratic party likes to believe , the Republican party does not pursue them with reckless abandon . The following news article cites a rift between noted moderate to conservative black politicos . The interesting story is that as most black folk wrongfully believe that most Republicans are prejudiced , that Senator McCain was defeated in 2000 in the south against Republican operatives largely by the the fact that he adopted a dark skin daughter . When will racism go away , and when can we judge a candidate by his own merits instead of the racial dynamic ? The following is from the Fredrick Fromer AP report . WASHINGTON (AP) — Black conservative talk show host Armstrong Williams has never voted for a Democrat for president. That could change this year with Barack Obama as the Democratic Party's nominee. Just as Obama has touched black Democratic voters, he has engendered conflicting emotions among black Republicans. They revel over the possibility of a black president but wrestle with the thought that Obama doesn't sit beside them ideologically. 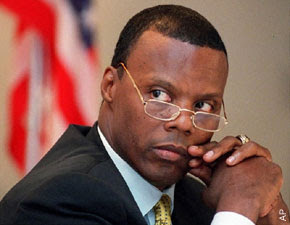 J.C. Watts, a former Oklahoma congressman who once was part of the GOP House leadership, said he's thinking of voting for Obama. Watts said he's still a Republican, but he criticizes his party for neglecting the black community. Black Republicans, he said, have to concede that while they might not agree with Democrats on issues, at least that party reaches out to them. "And Obama highlights that even more," Watts said, adding that he expects Obama to take on issues such as poverty and urban policy. "Republicans often seem indifferent to those things." Denise Huxtable's husband, Navy Lt. Martin Kendall, said he has wavered since, but he is still thinking about voting for Obama. possibly, just possibly, this great country can finally be forgiven for its original sin, or find some absolution." everything in my power to defeat him." Electing Obama, he said, would not automatically solve the woes of the black community. Moderate Republican Edward Brooke, who blazed his own trail in Massachusetts in 1966 as the first black popularly elected U.S. senator, said he is "extremely proud " to see Obama ascend.This is the most important election in our history," Brooke said. "And with the world in the condition that it is, I think we've got to get the best person we can get." Fox News in its quest for hip sensationalism threw black women under the bus. While its fair to criticize Michelle Obama in her political speeches ,it is not balanced to degrade black women.This occurred this past week in news reports.Michelle Obama by her status as the wife of Democratic presumptive nominee has become a positive symbol to black women in this country . For Fox to stream on its banner the title "Obama's baby mama" is back handed affront to black women everywhere . The cheap shot in the Fox clip is the term "baby mama". The term denigrates her and relegates her status as a wife ,by implying that she is a woman that who is not married and has children by Barack.This is not the case,in a era when out of wed lock births are epidemic in the black community,the Obama family has become a symbol of black family , much like the Cosby's in years gone by. Fox News execs while choosing to identify Michelle as a "baby's mama" is the epitome of racism and sexism . Fox should stick to the news and not cheapen itself by giving in to certain base instincts. We have already seen this played out on the campaign trail in many ways and forms .Stay tuned if Fox is doing this, wait until the GOP operatives began to "swift boat" with their anti Obama advertising in the fall . Michelle Obama criticism will not be off limits in this campaign, however snide attacks by the press against black women should always be off limits . 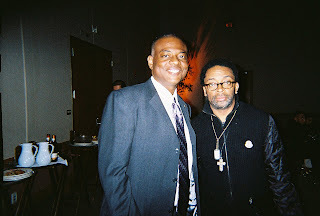 Spike Lee vs. "Dirty Harry "
I am big Spike Lee fan , from back in the day . However sometimes Spike goes off in a direction that is way on a limb .Check the below posting from Erik Pedersen on E On Line. Clint Eastwood and Spike Lee are bickering, and we’d suggest the directors take the high road, but they might just use it to get a better shot at each other. To catch up: At the Cannes Film Festival last month, Lee said if reporters "had any balls" they'd ask Eastwood why he didn’t include any blacks in his films based on the battle of Iwo Jima, Flags of Our Fathers and Letters from Iwo Jima. Aside from suggesting that Cannes reporters are eunuchs, Lee was also promoting his own war film, Miracle at St. Anna. Eastwood responded that he was being historically accurate about the makeup of the soldiers who raised the flag on the island, and added that "a guy like him should shut his face." Sounding stung by Lee's criticism, Eastwood, whose next film The Human Factor is about South African rugby and Nelson Mandela, also added, "Yeah, I'm not going to make Nelson Mandela a white guy." Lee’s latest salvo was a mixture of sugar—saying Eastwood is "a great director"—and spice—saying Eastwood sounds like "an angry old man." Despite adding that "we're not on a plantation," Lee announced he was going to end the feud with "peace and love." At the end of the day the Black Experience can be told by many , as long as they have ther minds and hearts in the right direction . Afterall its Clint Eastwood making movies ,it is not the Klan producing black movies.This feud between Spike and Clint goes back to when Eastwood made the movie "Bird" . Eastwood a long time jazz aficionado wanted and did a great movie on the jazz legend. Spike's peculiar political correctness , Black Movies for Blacks , Produced by Only Blacks took stage . This was reminiscent of the criticism that Steven Speilberg experienced for producing "The Color Purple" . It is ironic that Spike now is making movies that are not geared to an exclusive black audience that he attacks Eastwood.Its like the pot calling the kettle black . Spike Lee should ," Make my day " and "Do The Right Thing " and focus on doing what he does best.Spike Lee is one of the best , Spike only limits his greatness when he attacks other works because they don't subscribe to his political correctness. Political correctness in blackface is not appealing "and that's the truth Ruth". Our Liberties are attacked daily by enemies domestic and foreign .No greater day has Hell hath no fury than June 6,1944.Recently Governor Perry attended D Day commemorations in France . While we debate whether Barack is too black ,Hillary being a woman,or McCain too old ,let us never forget the sacrifices that those brave Americans made on Omaha Beach and other D Day landings. No one asked these brave soldiers their political preference on D Day . Let us never forget. God Bless America. ST. MÈRE ÉGLISE, FRANCE – Gov. Rick Perry and First Lady Anita Perry today participated in ceremonies commemorating the 64th anniversary of D-Day, the Allied Forces’ assault on the beaches of Normandy during World War II, which led to the liberation of France from Nazi Germany. Wreath laying ceremonies took place on battlefield sites across coastal France, paying tribute to those who gave their lives fighting to free Europe from Nazi occupation. The governor participated in ceremonies at the Normandy American Cemetery and St. Mère Église former cemetery. Gov. and Mrs. Perry later visited Pointe du Hoc, and participated in the D-Day Commemoration ceremony and mass in the St. Mère Église town square. The governor and first lady also attended the International Peace Ceremony and Utah Beach D-Day Commemoration Ceremony. Gov. Perry is leading an economic development and trade mission through France and Sweden, promoting Texas as an attractive destination for European investment and business development. committed a crime against the country , this also was a national landmark. Today like most Texans , I feel a sense of sadness and anger regarding this dastardly act of evil. Arson is suspected in a fire that swept through the historic Texas Governor's Mansion early Sunday and left much of the 152-year-old home charred and severely damaged, the state fire marshal said. "We have some evidence that indicates that we do have an intentionally set fire," said state Fire Marshal Paul Maldonado. "So we believe that we may be looking at a criminal act here." He called it a "devastating loss to the state of Texas." The federal Bureau of Alcohol, Tobacco and Firearms was sending in a national response team to help investigate, Maldonado said. He did not offer details on how the fire may have been set or whether there was a suspect. There were security cameras on the premises, and investigators are surveying the surrounding area, he said. About 100 firefighters responded when an alarm when off just before 2 a.m. No one was inside at the time. Perry and his wife, Anita, temporarily moved out last fall when the mansion began a $10 million renovation that was scheduled to be completed next year. For several hours they used hoses that shot 1,000 gallons of water per minute at the blaze, Black said. Small hot spots were still smoldering more than six hours after the fire began. Puffs of smoke continued to billow from the building. Water streamed down the front sidewalk and onto a city street for hours. State officials said they hoped that the Greek Revival-style mansion -- first occupied by Gov. Elisha Marshall Pease -- was not destroyed, but clearly damage was extensive. "It is bordering on catastrophic. The roof has not yet collapsed. The structure is still intact," said Allison Castle, a Perry spokeswoman. Barack Obama "Only In America "
I am like much of America is proud of Barack Obama . No one can doubt the historical magnitude of his nomination status . Republicans and Democrats can joust politically on the merits of electing Obama. No intelligent person however will diminish what this means to America . In America we are taught that anyone can grow up to be president. For over 200 years this was just a dream . From 1789 to the present , we have had an quota system , only white males were given serious consideration for the presidency. Hillary Rodham Clinton 's historic campaign forever banished the thoughts of women not holding the presidency. Today with Barack being the presumptive nominee , African -Americans feel that same sense of pride , and the knowledge that all is possible in this great country. 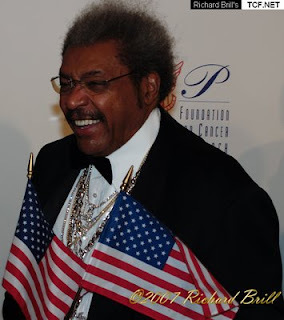 Michelle Obama in campaigning,flubbed her lines in expressing the pride of her country and her husband .I will not stumble on my words, I am proud of my country and Barack .In the words of boxing promoter , Don King " only in America" can this happen. Together as we all go forward to make this country greater ,we must all banish the demons of hate ,sexism ,age discrimination , and racism from the body politic. Dems Lose Election to Clinton -McCain Wins ! I spent the last day of May 2008 immersed in politcs ,as I was intrigued by the Democratic National Party meeting regarding Florida and Michigan . Hillary has promised to take the fight of seating the delegates on further .This will mean that the Dems will lose the election to McCain , to bitter unnecessary infighting . I feel like Donna Brazille , check out her comments on You Tube.I agree with Donna Brazille rules are rules . To change the rules means you are cheating . Well after all its the Clintons , and there you go. The special interests of the Clintons have always been consistent ,it has always been about themselves . Dems have compared the oratory of Obama to the Kenendy's ,now they might have to compare the 2008 convention to 1968 , without the Yippies of course ! By Sam Youngman of "The Hill " newspaper . Seconds after the 30 members of the Democratic National Committee’s Rules and Bylaws Committee finished their vote on how best to seat the delegations from Michigan and Florida, the room erupted. “DENVER! DENVER! DENVER!” supporters of Sen. Hillary Rodham Clinton (D-N.Y.) chanted. Then they walked out of the hotel ballroom and declared that this was no longer their Democratic Party, and that they would never vote for Sen. Barack Obama (Ill.) if he wins the nomination. “John McCain has just been elected by the DNC, and it’s a sad day,” said a teary-eyed Debbie Weihl, a teacher from Pennsylvania.